Home » Japa Technique » How to chant on beads? How to chant on beads? While chanting, one generally keeps the sacred japa beads in a bead bag to keep them clean and off the floor. One side of the bag is large enough to insert your hand. Your index finger coming out the smaller hole on the other side helps you hold on to the bag. Place your beads in the bag, and you’re ready to go. The above Mantra means: I offer my obeisances unto the Supreme Lord, Shri Krishna Chaitanya Mahaprabhu, along with His associates, Lord Nityananda, Shri Advaita Acharya, Gadadhara, Shrivasa and all the devotees of the Lord. The above Mantra means: “Oh Lord Krishna, Oh energy of the Lord, please engage me in Your devotional service.” This is a simple call to the Lord and His energies. It should be chanted exactly like a small child crying for it’s mother. The transcendental sound vibration of this mantra is the essence of all the Vedas and non-different from Lord Krishna personally. Then move to the next bead and repeat the mantra. In this way continue chanting on each of the 108 beads in the strand. This is known as one round of japa and takes between five and ten minutes for most people. 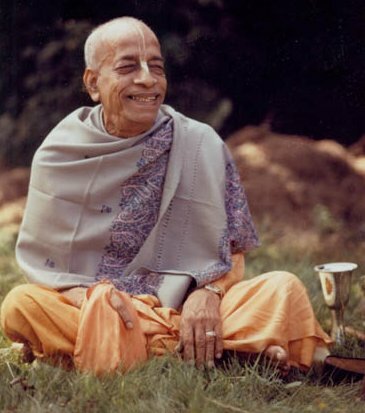 If you are going to chant more than one round of japa, then without chanting on the head bead (Krishna Bead) – reverse the direction of your chanting to begin the second round. 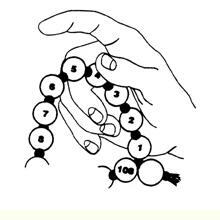 If you have a string of counter beads tied to your bead bag, keep track of the number of rounds you have chanted by moving one counter bead for each round you chant. One round equals to 108 beads. 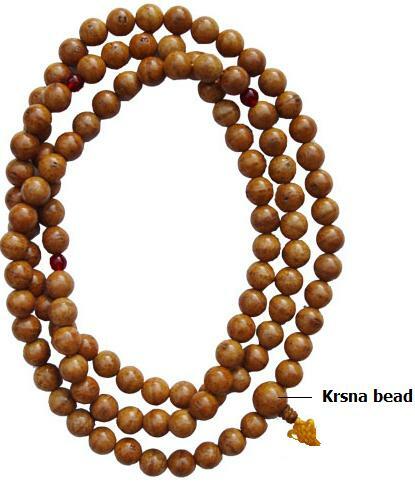 You can also get chanting beads from any local ISKCON Hare Krishna Temple. This verse is from the ‘Bhagavad Gita As It Is’, it describes the perfection one can attain through practising mantra meditation. – Bhagavad-gita As It Is 6.20-23.